We hope everyone is settled and are looking forward to another year at Kidkast. 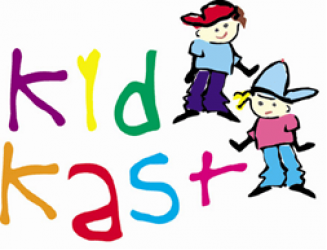 We have many new students and we welcome you all to the Kidkast family. At any stage if you have any questions please do not hesitate to ask. 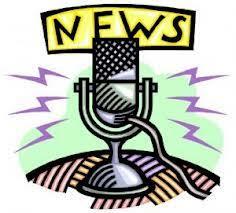 Please see our newsletter giving information and dates for your calendar. Kidkast has been at the centre of Performing Arts training in Ireland since 1999. In 2006 we opened our studios here in Old Abbey Lane and provided a professional venue for our students to train in, and a home for our Kidkast family. Our teachers are professional, trained, are all experienced and have been with Kidkast for many years, some of them since we started. They know the students inside out, and provide consistent, personal attention to each and every one. We are very proud that Kidkast has been recognised as a Vocational, Educational body as we provide students with the tools, technique and attitude to pursue a career in performing arts if they so decide. Kidkast training and the confidence it brings also contributes to any career or life path chosen by our students. What we provide is a safe environment for your child/young adult, where they can learn, and you can rest assured that they are getting the very best tuition …. Our Coffee Dock facility allows parents to relax, have a coffee and little time out while students are in class. A huge welcome to our new Hip Hop teacher for Saturdays, Sophie Kavanagh. Sophie will be a great addition to our team. We are currently in rehearsals for The National Showchoir Finals, which takes place in the O’Reilly Theatre Dublin where 60 of our students will take to the stage on November 4th . Last year we came third and had huge fun in doing so, making many new friends. Our Agency is busily working in the background with castings for movies, commercials etc. Good luck to our students who have auditions, and recalls coming up. Congratulations also to all our students who will be performing in Pantomimes in the Tivoli Theatre and The Helix in Dublin, The TLT Theatre and The Barbican in Drogheda. Good luck to our student Chris Howick Crook in the All-Ireland Talent search Final Rounds! Best wishes to Sarah Louisa and Annaleigh on their venture into Pantoland in the TLT this year. Rumour has it that a new line of Kidkast branded dancewear is en-route… Watch this space..
October 28th 2018 London Here we come!! For students to truly work to their best potential the correct attire should be worn. Correct footwear is in particular crucial to a student’s development. If you are unsure, don’t hesitate to ask any of the teachers to see what they suggest. We have a dance shop on site and all clothing and footwear is available at high street prices for your convenience. You are a part of the Kidkast family. Students of all ages work side by side, and make life time friends, having lots of fun along the way. We provide training that is second to none in all aspects of performing arts, teaching our students to perform, but also providing them with the technique they need should they choose a career in Performing Arts. Kidkast has been designated as an Educational Body, providing students with excellence in training, and preparing them for a possible career as a performer or teacher. Old Abbey Dance Studios, is the only purpose built dance studio in the North East of the country, providing the best facilities and a comfortable “second home” to our students. Every year Kidkast students go on to professional third level training. Crew Rehearsals take place on Thursday evenings. Flexi class is available to all dance students free of charge from 5.30 – 6.30 each Monday. This class concentrates totally on strength and flexibility.